Interested in performing at the Straßenmusikfestival? applications for the Straßenmusikfestival 2019 are now closed – thanks for your interest! We’re now selecting the Bands and will get back to you as soon as possible. Are you a street musician? for the International Street Music Festival 2019. Yes, I would like to apply for the Internationales Straßenmusikfestival 2019. I would like to stay in free accommodation (youth hostel). 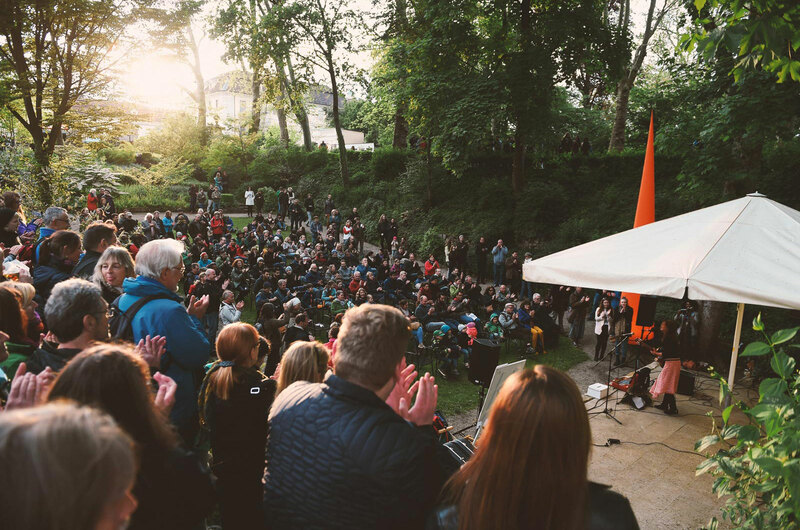 To all musicians and artists we offer the option of staying at no charge in a camp at the youth hostel Ludwigsburg specially reserved for the festival period. For artists who do not want to stay overnight in the free artist camp we have drawn up a list of hotels (more info by request), pensions and the Ludwigsburg bed and breakfast agency. The organizers of the festival won’t bear the costs. Ludwigsburg is next to the motorway A 81. Take the drive „Ludwigsburg Nord“ or „Ludwigsburg Süd“. S-Bahn S1 brings you from Stuttgart airport to Stuttgart main station.